Contact Golf Club Rentals Inc. NOTE: When you arrive on Maui, please contact us. 1- Confirm your club rentals. 2- Confirm your hotel / condominium room number. 3- Confirm date and tee time. 4- Arrange free delivery and pick-up times. We require a credit card number in lieu of a rental deposit. Thank you for choosing our golf clubs. 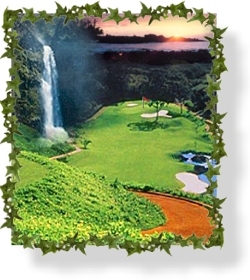 Play with the best built custom clubs on Maui.